Today is a potentially sad day for JustRetweet. I just received this automated email from Twitter earlier this morning. This list is not exhaustive, so review our policy documentation to ensure that your app and your app’s users are following all of our rules. Which rule did JustRetweet violate? I’m not sure, but if I had to guess it’s probably the first bullet point. I’ve tried really hard to make sure that the content posted to JustRetweet is always high quality, but perhaps my efforts haven’t gone far enough. I’ve already responded to this email in hopes of talking to a human being who can give me a specific reason for the suspension. Then perhaps we can come up with a solution to get JustRetweet re-instated again. If anyone can help me in this area, that would be much appreciated. Currently, all Twitter functionality on the site is broken. So this means if you try to schedule a retweet or follow another user, then nothing will happen. I’ve made a quick update to the site to disable both these functionalities, so you will not lose credits if someone tries to retweet your submission or follow your account. 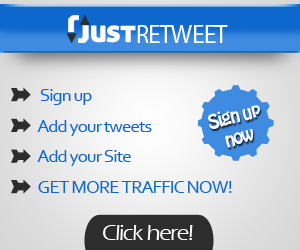 At this point, JustRetweet can only be used for getting more Facebook Likes and Google +1s. So if you make any new submissions, please enable both of them. JustRetweet has been running for almost 4 years now with over 3000+ active members and it would be a shame to see it die just like this. Unfortunately, we are at the mercy of Twitter and its policies to keep the site running properly. If anyone can help out, please let me know. I will keep everyone updated if I hear anything. I’ll ask around and see if anyone has connections there. Hopefully they will reconsider on appeal since you have 4 years of good behavior showing that whatever trigger you tripped is not a common occurrence.